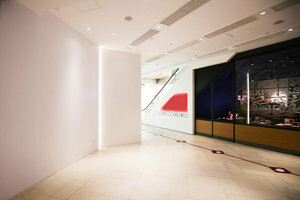 This 133 square feet booth is located on the 2nd floor of a busy shopping mall in Tsim Sha Tsui. 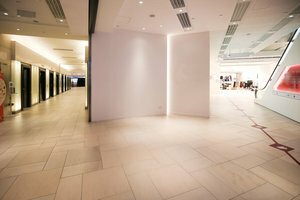 Brands would definitely benefit from the heavy foot traffic drawn by the shopping mall itself, mainly contributed by the tourists as well as locals. 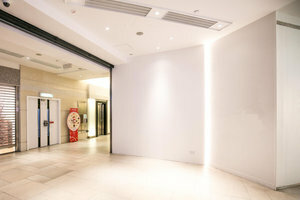 The booth is right beside the lift lobby, right at the intersection of two pathway, this is definitely a prime location for brands to organise pop-up events here as most of the shoppers would gather here such that brands would gain the largest exposure! Since it is a booth in a mall, brands should have everything they need. For example, the booth is equipped with nice lighting as well as the air conditioning. It is, therefore, a convenient solution for brands which are looking for more opportunities and thinking of creating a buzz in the city!